I already read and reviewed this one, can I add it to the anyway? 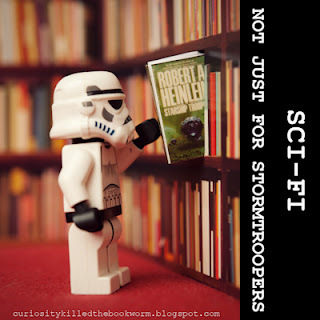 If you're taking part in the sci-fi challenge, please can you add reviews to the relevant linky for the month you read it. This linky is for books read in September. If you're not doing the challenge but want to share anyway please just leave a link in the comments. Thanks. I think I remember vaguely seeing a review of this book on your blog. You are right, sometimes we just need to step out of our comfort zone and read something that we would normally not pick up as our first (or second... or..) choice. 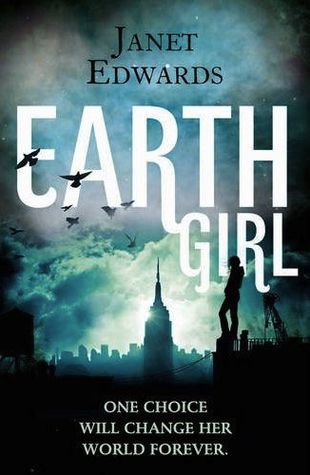 I read Old Man's War over the holiday weekend, but I'll be checking out Earth Girl as well! I just finished American Gods, but I'll try to fit Earth Girl into my reading as the month proceeds. This was my last sci fi book in my tbr pile. Looking forward to deciding what I read next time. Oh, and very pleased that I have actually posted the review on time.